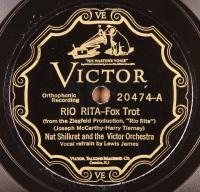 Nice cheery, upbeat Dance Band sides by Nat Shilkret and the Victor Orchestra with. Vocals by Lewis James and Billy Murray. 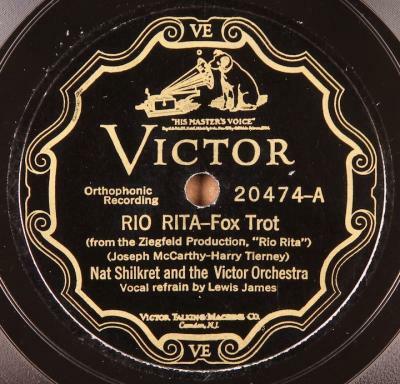 Condition: E-; Plays great, loud and strong, generally quiet surface, fairly clean copy aside from some very light scuffing/rubbing and hint of very light grain typical of many Victors.